This is Betsey Johnson's "Hello?" 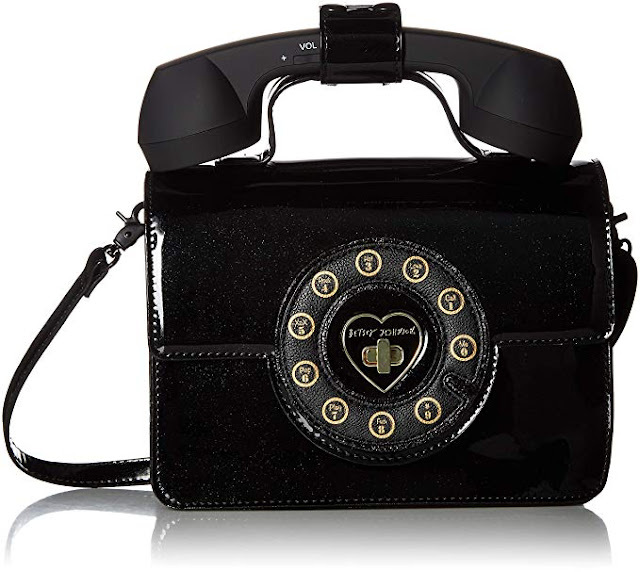 bag, featuring a retro faux dial clasp gold-colored closure and "Princess phone" carrying handle. It has a shiny simulated patent leather look to it. And great news, vegan goths, it's 100% PVC! 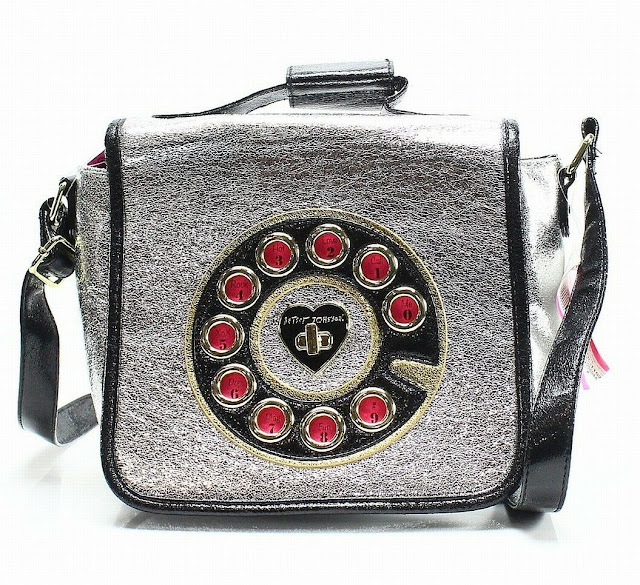 The "Answer Me" bag is similar, but has a textured finish and uses silver colored ink for the faux dial clasp closure. But wait, there's more! 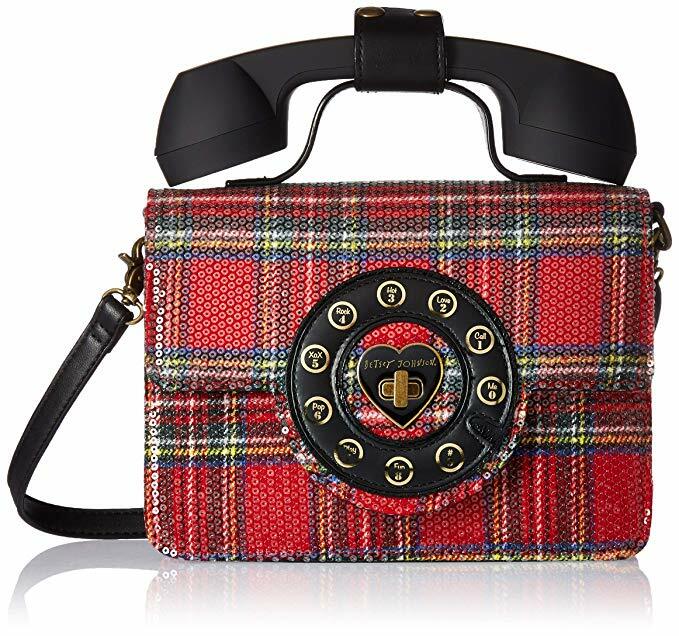 Take note, Britgoths, the "Answer Me" phone purse also comes in plaid! 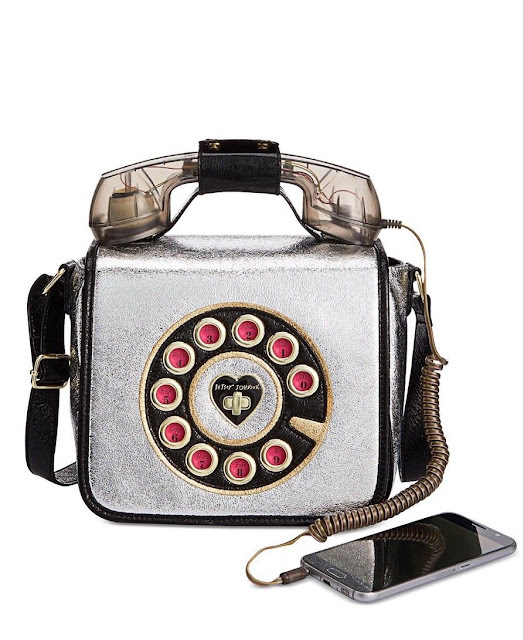 And for glamgoths, here's Betsey Johnson's "Off the Hook" bag in silver. 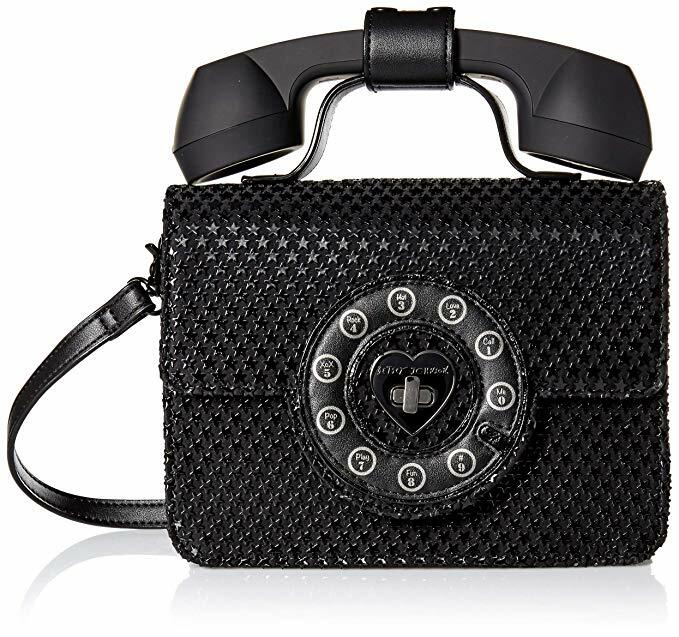 Note that some versions of "Off the Hook" come with a retro plug to hook your smartphone in and use the crossbody bag as a functioning "landline" style handset. Whoah! Which of these, if any, is your favorite? Let me know in the comments section below.